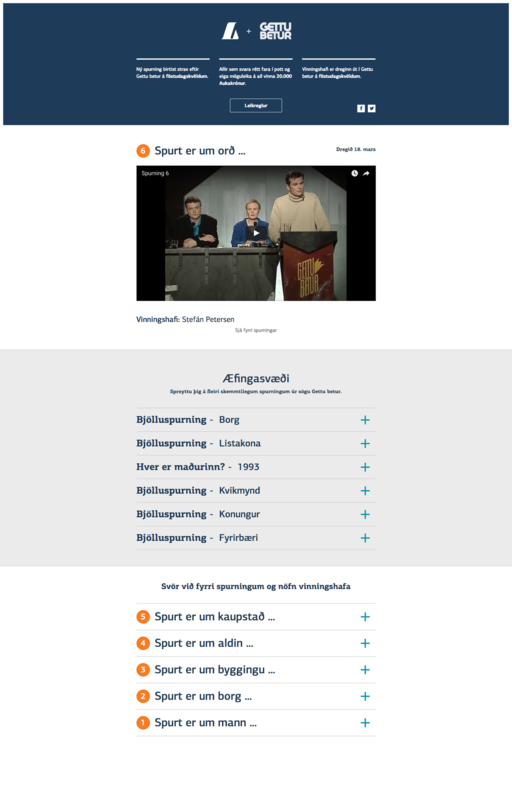 Gettu Betur is the longest running- and most popular game show in Icelandic TV and radio. Students from all over the country compete in which school hosts the sharpest people on trivia ranging from common sense subjects to advanced art, science and philosophy subjects. We were approached on the game show's behalf by the largest sponsor, The National Bank of Iceland (Landsbankinn), and asked to create a simple game that could be played on tablets and phones during commercial breaks. Winners were announced regularly throughout the season. The game was a huge success by all measurements.